The experience of pain differs between us. Research suggests words to describe the experience of pain might be similar. Experts call these words ‘pain qualities’. An example of a pain quality would be burning or throbbing. 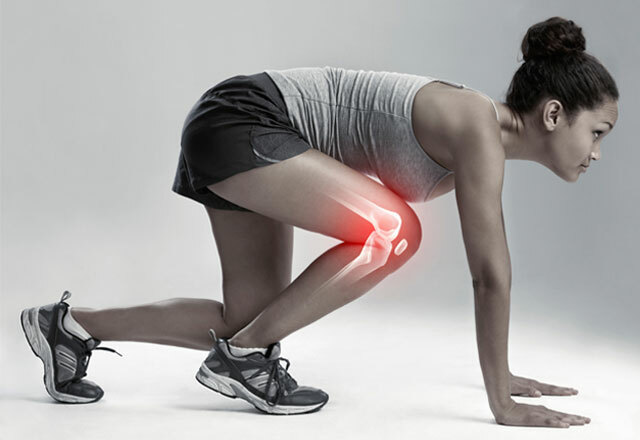 This article discusses the importance of pain quality. Topics addressed include common words used by patients, meaningful changes in pain quality, and the relation to sources of pain. A change in pain quality associated with low back pain provides insight into a patients’ pain experience. Following changes in pain quality can help identify improvements. The ratings of pain magnitude differ between us for many reasons. Among them is our past experiences, short and long-term effects of the pain, and our gender. The intensity of pain is commonly assessed. But, as a single rating pain intensity fails to capture the whole pain experience. To provide better care we need to look beyond pain intensity. We need to look at other measures. So lets begin with pain qualities. Pain qualities give insight. These words are clues to understand a patient’s pain and path to recovery. Researchers emphasize the importance of pain qualities. This emphasis started in the early 2000s and continues to grow. There are two main reasons for this emphasis. Firstly, pain qualities are words used by patients to communicate their pain. The words burning, stabbing, tingling, numbness, throbbing and itchy make the list. Secondly, pain qualities provide clues to which sensory fibers drive the pain experience. Damage to large sensory fibers reduces the ability to feel vibrations and touch. Patients may report this reduction as numbness. C and A delta (Aδ) sensory fibers convey information about pain and temperature. Damage to these small fibers can evoke burning, aching or stabbing sensations. Pain qualities and their location relate to pain intensity and function. Gunnesjo and colleagues (2006) showed changes in pain qualities can reflect improvements. Stabbing and dull-aching are common sensations reported at the onset (< 3 months) of low back pain (Gunnesjo et al., 2006). This ‘stabbing‘ quality reduces with recovery. In addition, the total number of pain sites as drawn on a body map also reduces. Pain that extends beyond the waist down the leg is known as radicular pain. Patients with radicular pain report higher intensities of numbness, stabbing, pins and needles (tingling), dull-aching, stiffness and cramps. The most common descriptors include stabbing and dull-aching pain. Patients with localized pain report higher intensities of numbing, pins and needles (tingling), and stabbing. Overall higher reports of disability associate with numbness and stabbing (Gunnesjo et al., 2006). This means that a change in pain quality is meaningful and relates to recovery. Individuals treated surgically for lumbar radiculopathy also report meaningful change. A rapid decline in burning and stabbing sensations occurs after surgery (Huang et al., 2014). However, numbness and tingling declines more slowly (Huang et al., 2014). A rapid decline in burning and stabbing sensations may signal recovery. A slow and evident decline in numbness and tingling is expected and reflects natural healing time. The recovery can take over one year. Nonetheless, the change in pain qualities provide important clues. These clues can be discussed during consultations between a patient and her clinician. Pain intensity and quality, the unpleasantness, the location, and how these change with time sum to a pain experience. The many combinations explains our individual and unique experiences. Pain qualities, however, may provide a red thread between these experiences. Navigate Pain, the digital software solution for mapping pain includes a number of pain quality descriptors. The descriptors are meant to help patients communicate their pain. Clinicians can observe meaningful changes in pain quality descriptors over time. Do pain qualities have predictive power? Research recommends a number of pain qualities. The overlap between the recommendations is good news. These overlaps include the following words: dull-aching, throbbing, burning, stabbing, electric, tingling, numbness, cold, and itchy. As research continues new meaningful words will emerge. Pain quality descriptors provide clues to diagnosis in an area that relies on language used by patients (Fernandez et al., 2012). To date, sharpness-related words are consistent with neuropathic pain. Whereas dullness-related words associate with musculoskeletal pain (Fernandez et al., 2012). Pain reports by patients with osteoarthritis show a mixture of burning, sharp, aching and throbbing (Victor et al., 2008). Pain quality helps distinguish among sources of pain, such as damaged sensory fibers. As we continue to learn about the words to describe pain the better we will become at evaluating treatments. A smart starting point is to allow patients to describe their pain often. Huang P and Sengupta DK. How fast pain, numbness, and paresthesia resolves after lumbar nerve root decompression: a retrospective study of patient’s self-reported computerized pain drawing. Spine (Phila Pa 1976). 2014 Apr 15;39(8):E529-36. doi: 10.1097/BRS.0000000000000240. Grunnesjö M et al., The course of pain drawings during a 10–week treatment period in patients with acute and sub-acute low back pain. BMC Musculoskelet Disord. 2006 Aug 11;7:65. Fernandez E et al., Descriptors of pain sensation: a dual hierarchical model of latent structure. J Pain. 2012 Jun;13(6):532-6. doi: 10.1016/j.jpain.2012.02.006. Epub 2012 Apr 25. Victor TW et al. The dimensions of pain quality: factor analysis of the Pain Quality Assessment Scale. Clin J Pain. 2008 Jul-Aug;24(6):550-5. doi: 10.1097/AJP.0b013e31816b1058.